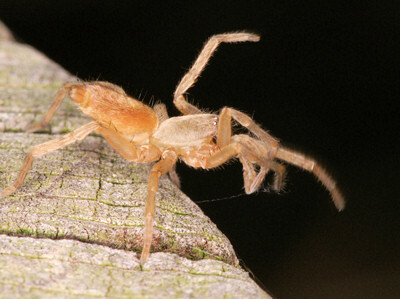 There are several glands located at the spider's abdomen, which produce the silken thread. Every gland produces a thread for a special purpose. There are seven different known glands. Each spider possesses only some of these glands and not all seven together. Glandula Aggregata produces the sticky material for the threads. Glandula Ampulleceae major and minor are used for the silk of the walking thread. Glandula Pyriformes is used for the production of the attaching threads. Glandula Aciniformes produces threads for the encapsulation of prey. 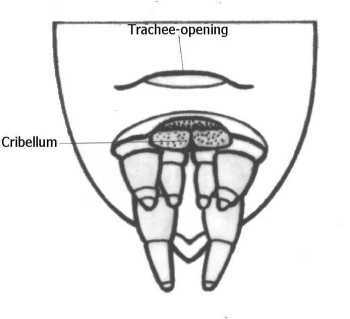 Glandula Tubiliformes produces thread for cocoons. Glandula Coronatae is used for the production of the adhesive threads. Normally a spider has three pairs of spinners, but there are spiders with just one pair or as many as four pairs. Every spinner has it own function. 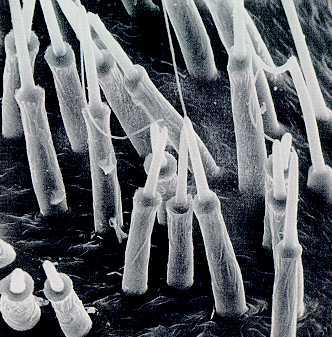 There are small tubes in the spinners, which are connected to the glands. The number of tubes varies between 2 and 50.000. The human eye is capable of detecting objects at a distance of 10 cm with a diameter of 25 mm. 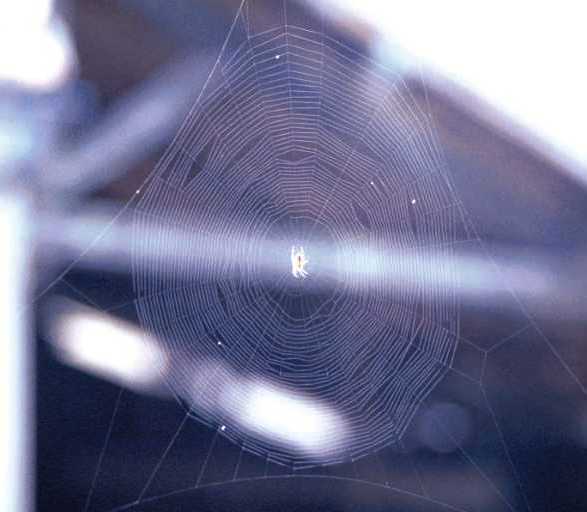 The average diameter of a thread in a orb web is around 0.15 mm. The smallest measured thread was only 0.02 mm thick. We are able to see the web only because of the reflection of sunlight on the thread. 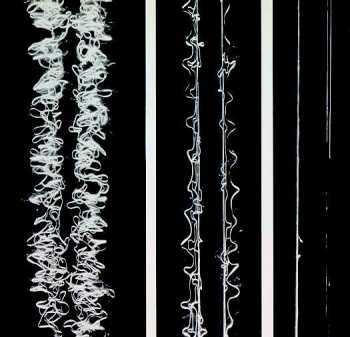 These thin wires are capable of stopping a bee flying at full speed. This thread is not only strong but also very elastic. These properties make the material very tough. What is the thread made of? 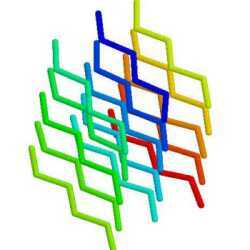 It is a protein of a molecular mass of 30.000 Dalton in the gland. Outside the gland it polymerizes to a molecule named fibroin with a molecular mass of around 300.000 Dalton. It is still not clear what activates polymerization process. Why does the silk made of protein not decompose by fungi and bacteria like all other proteins? We conserve protein by cooking, salting, drying or adding acid. In spider silk there are three substances that are important for its durability: pyrolidin, potassium hydrogen phosphate and potassium nitrate. Pyrolidins can be found in dyes and plant poisons and are very hygroscopic (binds water). This substance prevents the thread from drying out. Pyrolidin is also found in high concentration in the glue of catching threads. Potassium hydrogen phosphate makes the thread acidic and prevents fungal and bacterial growth. A low pH causes denaturation (become insoluble) of proteins. A phenomenon we can observe in sour milk. Potassium nitrate prevents this and the proteins are salted which prevents bacterial and fungal growth. The thread of the orb web spider Araneus diadematus is very elastic and can be stretched 30 - 40% before it breaks. Steel can be stretched only 8% and nylon around 20%. In the picture one can see the thread of the spider Stegodyphus sarasinorum that, because of its weaving technique, can be stretched up to 20 times it original length. A lot of orb weaving spiders recycle their webs. The weaving of a web takes up a lot of the spider's resources. Since they need to renew their web regularly, they eat the silk to utilize the protein. Only the main thread of the web is left intact. They usually weave a new web each morning, unless there has been little activity and the web can be easily mended. 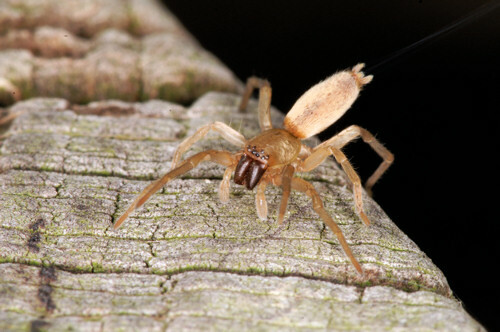 By studying their threads two groups of spiders can be recognized, the Cribellate and the E-cribellate spiders. Cribellate spiders comb their silk to a woolly structure. 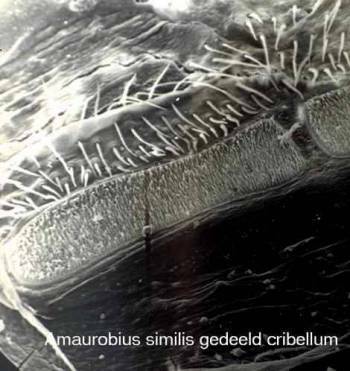 To do this they have a comb (calamistrum) on the metatarsus or the tarsus of the fourth legs and an extra silk producing organ (cribellum) just in front of the spinners, which appears as a transparent plate. The comb pulls the silk out of the cribellum and the silk is combed to a woolly structure. The combed silk is made up of thousands small threads enforced by some thicker ones. 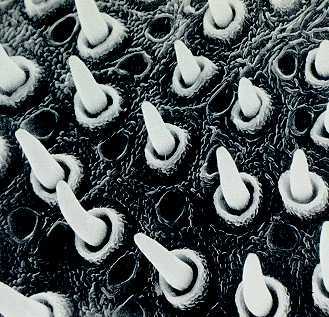 There is no glue on the threads but the insect gets stuck with the hairs on their body in the silk. The thicker threads in the silk prevent the insect from tearing the silk. 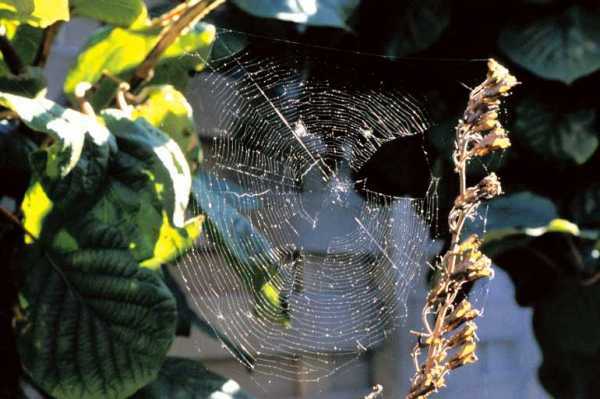 Spider silk was and is used for several applications. Polynesian fishermen use the thread of the golden orb web weaver Nephila as fishing line. 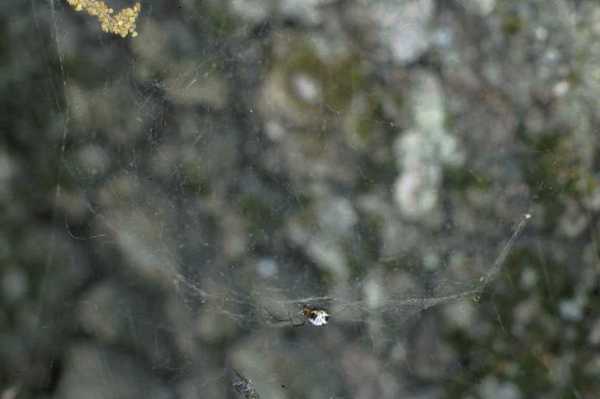 In the New-Hebrides spider web was used to make nets for the transportation of arrow points, tobacco and dried poison for the arrow points. Some tribes in New-Guinea used webs as hat to protect their head from the rain. In Madagascar there were some attempts to milk Nephila's for the production of silk. A thread was pulled out of the spinner of the spider by hand. If the spiders silk was exhausted, she was put back in the forest and the next spider was milked. The gathered silk had a beautiful golden color. This project was also banned because of many problems. 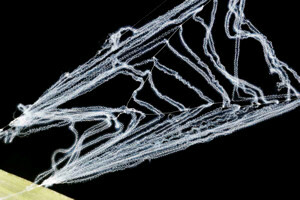 Spider silk is very strong and tough material. A thread with a radius of 3 cm can stop a Boeing 747 in full flight. Three simple forms of web can be recognized. The sheet web, the orb web and the spatial web. The most well known form is the orb web. How is this web constructed? The most difficult part is the construction of the first thread. This is a sturdy horizontal thread on which the rest of the web is hanging. How does the spider connect this thread between the two connecting points? She can not fly. Does she connect a thread at one place, walk down with an enrolling thread behind her to the other side where pulls the thread horizontal and connects it? No, the answer is simpler. She makes use of the wind and some luck. The wind carries a thin adhesive thread released from her spinners while making the thread longer and longer. If she is lucky the thread sticks to a proper spot. Then she walks carefully over the thread, strengthening it with a second thread. This is repeated until the primary thread is strong enough. After this, she hangs a thread in the form of a Y below the primary thread. These are the first three radial of the web. More radials are constructed taking care that the distance between the radial is small enough to cross. Then non-sticky circular construction spirals are made. The web is completed when the adhesive spiral threads are placed. While the sticky spirals are placed the non-sticky spirals are removed. Not every web is constructed in this way; a lot of variations are possible. The web on the pictures above has an inverted Y that was connected to an electrical wire 10 meters higher. Besides the orb webs other catching web designs are used. 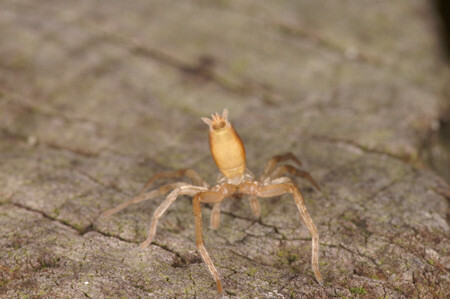 A particular one is that of the net-casting spider Deinopsis. This spider constructs a web between her forelegs and hangs head down waiting for an insect to pass. The web is thrown over the victim and entangles it. 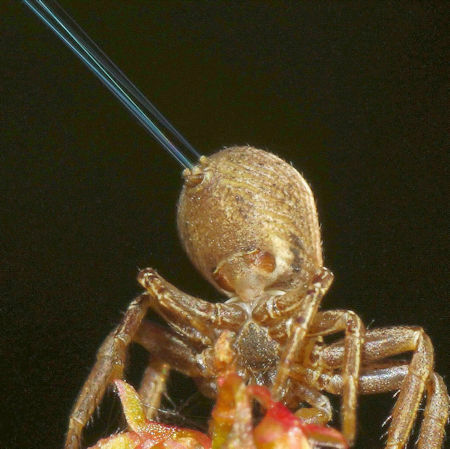 The Bolas spider also has a special catching technique. As the name may suspects she throws the thread with an adhesive bubble at the end to her prey. 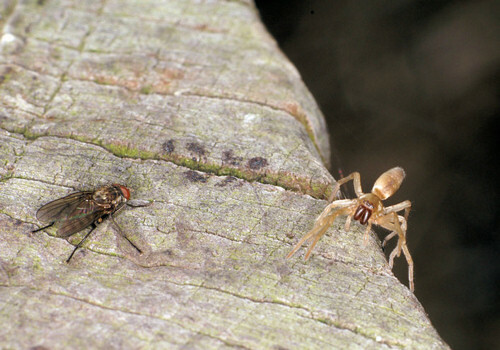 The prey is decoyed by chemical substances (pheromones). Hiding place in leave and on the right side her orb web of Singa nitidula. Web of net-casting spider Deinopsis. 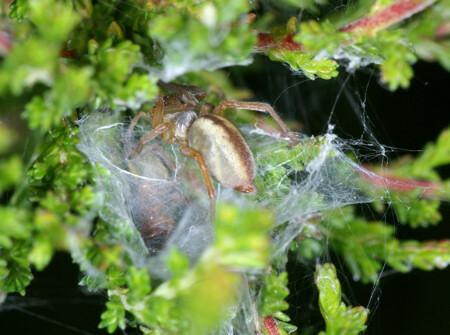 Funnel weavers construct horizontal mats and wait in a funnel at the end of the web for an insect to land on the sheet. 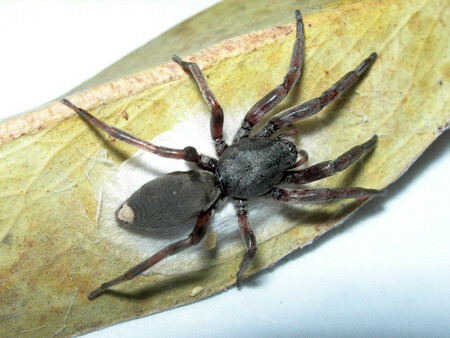 The trapdoor spider hides in a tunnel that can be closed with a door. If the prey walks over a signal thread the door is opened and the spider grabs it. 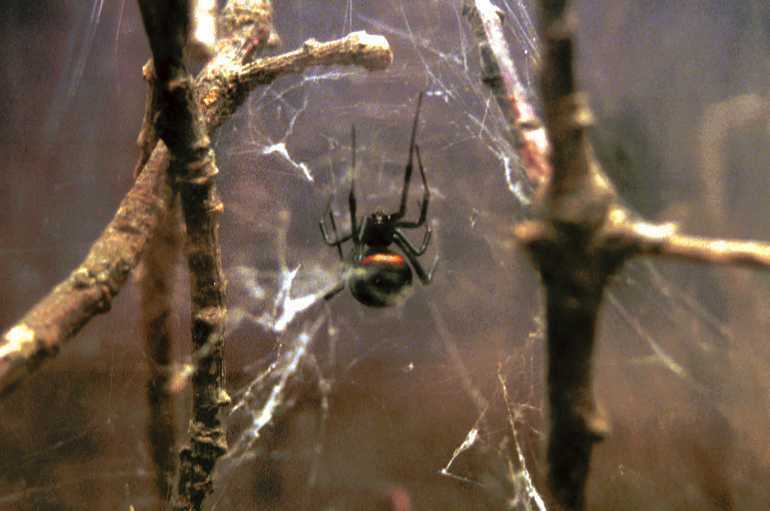 Besides the flat, two-dimensional orb web the Linyphiidae and Theridiidae, the family to which the black widow belongs, use three-dimensional space webs. Linyphiidae makes a horizontal dense sheet web with a lot of non-adhesive threads above it. If an insect flies against a thread it tumbles onto the mat and is grabbed. The Theridiidae construct a messy space web in which the prey gets entangled. Spatial web of the sheet web spider Frontinella. 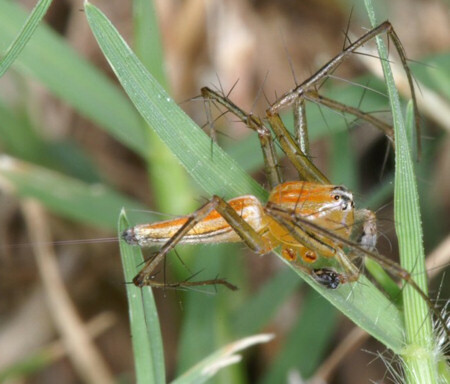 Spiders like the jumping spider, the lynx spider, the crab spider and many others do not use webs to catch prey. They use their eyes and speed to catch insects. 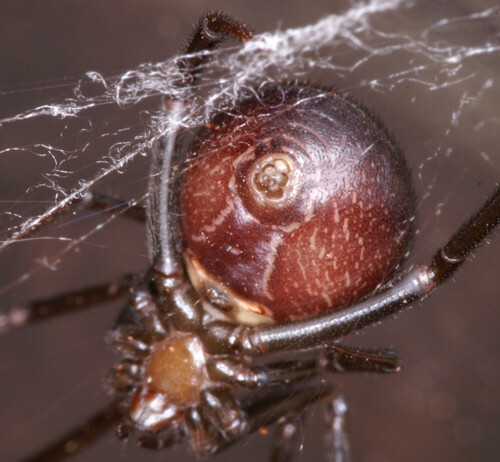 The above mentioned spiders use their silk as a life line. While moving they release a thread that is attached to a secure spot. If they accidently fall down the life line makes it possible to return to their original position. Lynx spider Oxyopes quadrifasciatus with a line line. 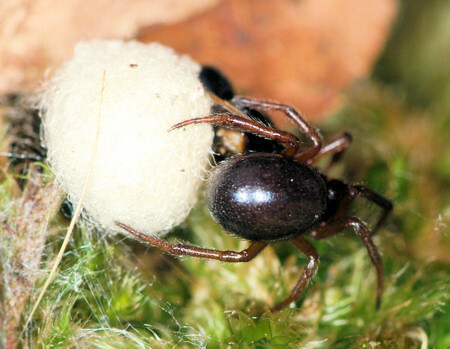 All spiders use their silk for the construction of a cocoon in which the egs are laid. 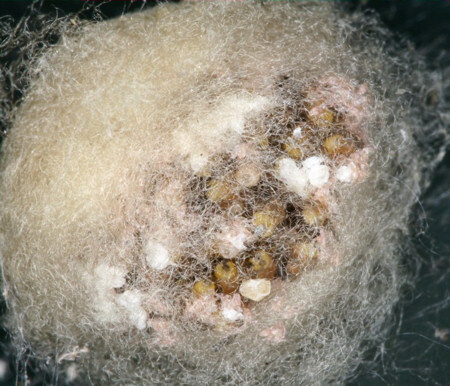 The cocoon protects the eggs from heat, moisture, fungi and mechanical damage. Some spiders choose to spin a large cocoon and guard the eggs inside this closed silken nest. 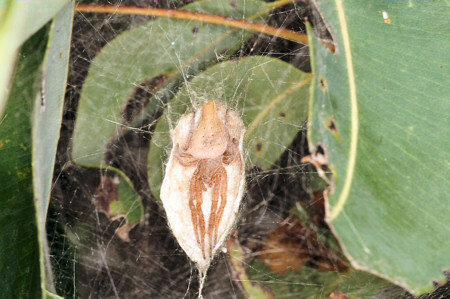 Most spiders guard their cocoons but others leave the egg cases camouflaged behind. 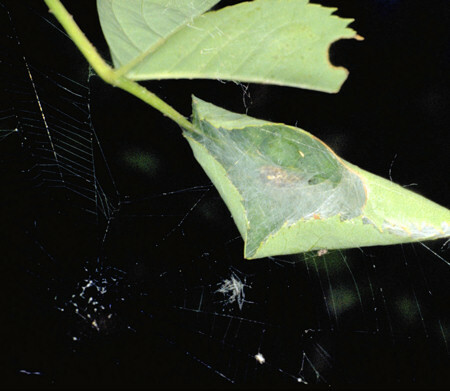 Typical cocoon of Ero (Pirate spider). It looks like it is protected by copper wire. 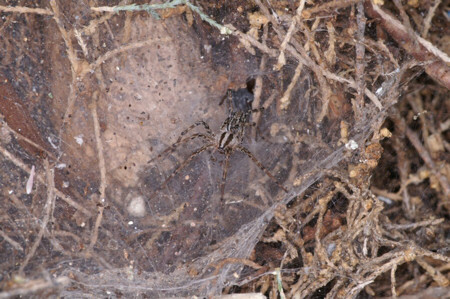 The tent or dome spider Cyrtophora exanthematica in her retreat. Lampona cylindrata guarding her eggs. Spider can also use their silk for transportation. 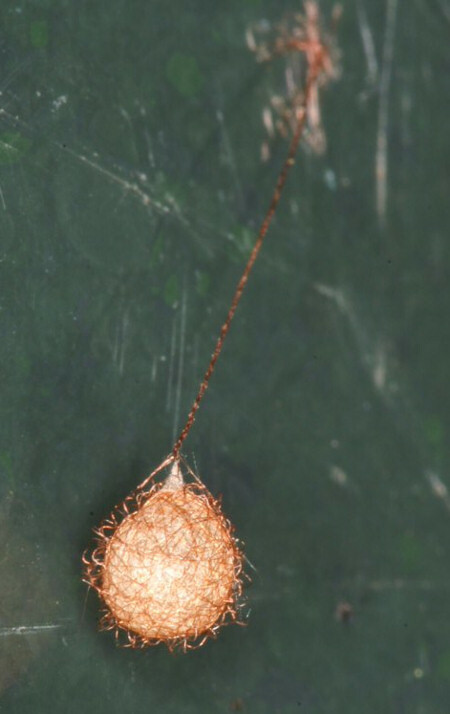 To reach other places spiders can fly by wire, called "ballooning ". The spider raises her abdomen and releases a thread in the breeze that grows longer and longer until the upward lift is sufficient and the spider is lifted. They can reach heights of up to 10000 meter and are transported to every spot on the world. They are often one of the first inhabitants of a devastated area like after the eruption of the Krakatoa in August 1883. In May 1884 scientist already reported microscopic spiders spinning their webs. Bridging is a kind of ballooning but for shorter distances. Often in the morning when the light is right, one can see thousands of tiny threads between plants. this can be the dragline of a spider that jumped between the plants but when the 'bridge' is wider than 10 cm the spider did not jump but the line was probably from a young or tiny spider that used the silk line to make a bridge between the plants. 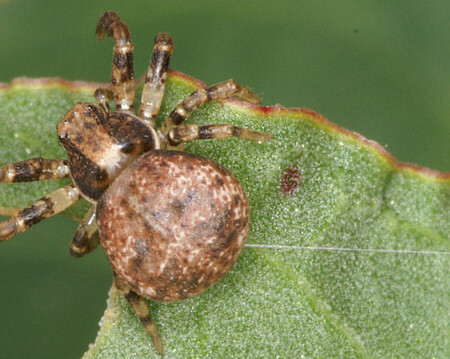 Small spiders, like this sac spider Clubiona, can easily "balloon" instead of walking. 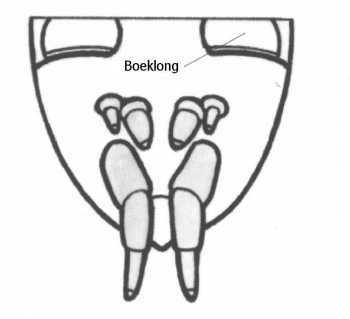 When start fails the threads are gathered back with their four forelegs.